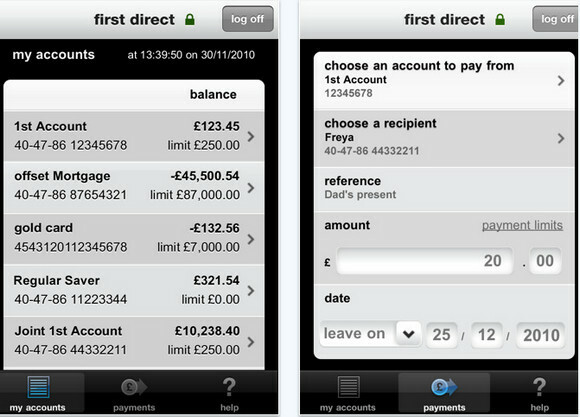 The app, which is currently only available for Apple’s iPhone and iPod Touch, lets first direct customers check their balances, view the last 20 account transactions, make payments and transfer money between accounts. 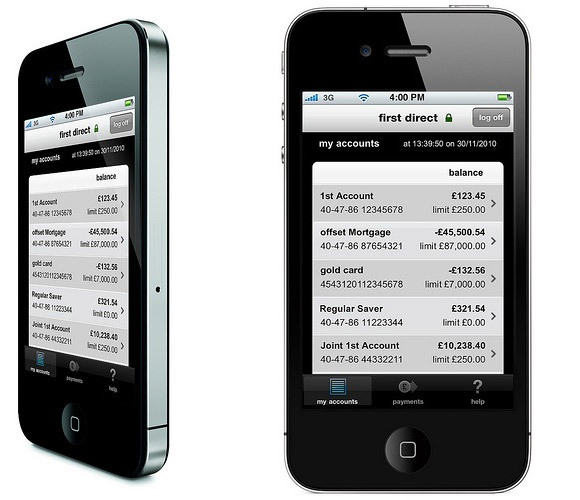 The transactional capability is what makes first direct’s offering stand out amongst UK banking apps, although the Bank of America launched a similar app back in the States as long ago as July 2008. “This is about our customers, we want them to be proud to say ‘I bank with first direct’. 21 years ago, first direct changed the face of banking when it became the first UK financial institution to allow customers to do their banking whenever they wanted via phone. We were amongst the leaders in taking this experience online and today we continue to innovate. This time it’s about making the banking experience simpler and quicker, allowing our iPhone enabled customers to access key features of our internet banking; whenever they want and wherever they want. Colebrook explained that they chose to release an iPhone app first “because that’s where our customers are,” adding that the iPhone has grown to become the 6th largest source of visitors to their website (perhaps he was too busy quoting Steve Jobs to notice the explosive growth of the Android platform?). The bank says it will be making their ‘on the go’ mobile service available on other smartphone devices later in the year, but for now iPhone users can download it from the App Store.